The launch of ten artist publications and a symposium will take place from 10 to 14 August 2017 at the Khalil Sakakini Cultural Center, Ramallah and Khashabi Theatre, Haifa. Titled Shifting Ground, the event in Ramallah is the third of four Sharjah Biennial 13: Tamawuj (SB13) off-site projects centred around the keywords ‘water’, ‘crops’, ‘earth’ and ‘culinary’. SB13 curator Christine Tohme has invited Lara Khaldi to be the interlocutor who researches and dialogues with the keyword ‘earth’. Working with the keyword ‘earth’ represents a complex endeavour in Palestine because the relationship between the Palestinian and the land has been romanticised into an organic and natural relationship. However, what actually connects Palestinians to the earth and makes them indigenous is their shared condition of being stateless in a world full of nation states. Earth is not only soil or land but can also be a surface, medium and envelope of objects as well as secrets and stories. An infrastructure of wired networks, historical artefacts and graveyards made invisible by the ground and soil conditions constitutes our lives today. What is underground does not represent the past; it is rather very much in the present. Not merely technical networks, infrastructures are also fantasies produced out of desires that do not necessarily have technical functions. The earth envelopes these desires. Samir Harb and Mimi Cabell’s publication investigates the history of the infrastructure of authority, tracing the literal and symbolic history of the Tegart forts in Palestine through multiple systems of design. 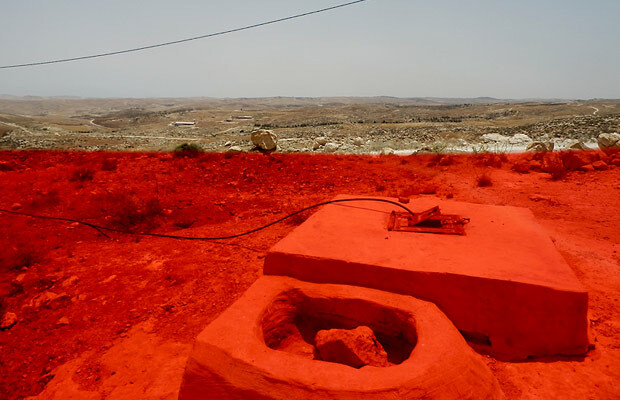 Buried stories are also considered through the work of artist Inas Halabi as she looks at invisible buried chemical waste and radiation in the south of the West Bank. The work of the Ma’touq collective attempts to rewrite and reinsert Palestinian insurgents from the 1920s into present narratives. Subversive Film (Reem Shilleh and Mohannad Ya’qubi) address a syllabus for filming during the Palestinian revolution from the archive of filmmaker and co-founder of Fatah’s Palestine Film Unit, Hani Jawhariyyeh. Yara Saqfalhait considers the newly emerging sinkholes around the Dead Sea in relation to a history of unrealised infrastructure projects in the area to investigate the relationship between systems of prediction and the reality they help materialise. Benji Boyadjian presents material on the history of the ancient aqueduct network in Jerusalem and the complexities that occurred once the network became clogged. 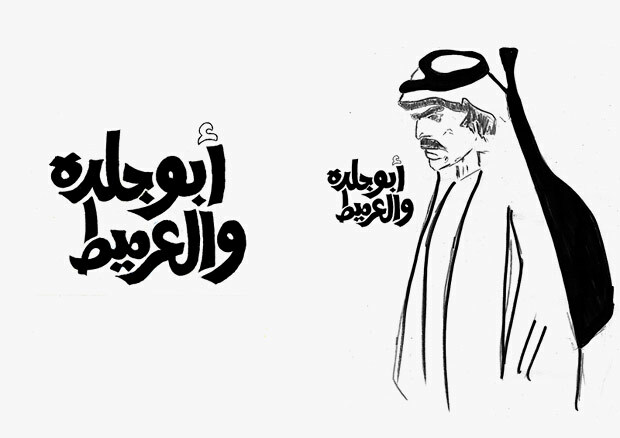 Additionally, in a collaborative effort with The Palestinian Museum of Natural History and Humankind, a handbook of the museum collection will be published, as will the Arabic translation of Noor Abu Arafeh’s novel ‘The Earth Doesn’t Tell Its Secrets’ – His father once said (2017) about museums in Palestine, which was launched in Sharjah earlier this year. 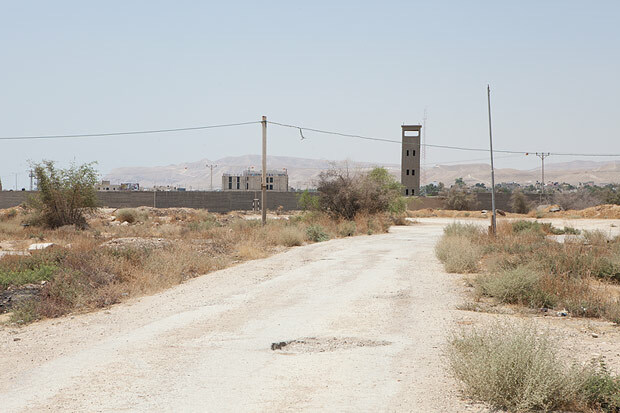 Many of the publications to be launched in Ramallah have been realised through editorial workshops where participants collaborated with the artists, and later this year, art and geography students will be guided by artist Maria Thereza Alves in the production of another publication, which includes various research material on plots of empty land in Ramallah. To exhibit all the new publications, a structure by AAU Anastas Studio (Elias and Yousef Anastas) has been designed by the architects and designers in response to the theme of 'earth' and will continue to display the books at the Khalil Sakakini Cultural Center for a month after the end of the event. The symposium Shifting Ground, which is curated by Lara Khaldi in collaboration with Rana Anani and Yara Saqfalhait, takes place over the span of five days. Invited scholars such as Keller Easterling, Suhad Daher Nashif, Abdul Rahim Al-Shaikh, Sophia Stamatopoulou-Robbins, Chiara Decesari and Doreen Mende as well as artists working on the publications will discuss the themes of burial grounds in Palestine, the earth as medium and various museum models that reflect the colonial context. The symposium will also bring together local and international artists such as Jumana Emil Abboud, Filipa César, Noor Abu Arafeh, Khaled Hourani, Khalil Rabah, Nasser Soumi and others, who will present performances, non-academic lectures and lecture performances. Kristine Khoury, Rasha Salti, Lawrence Abu Hamdan and Rabih Mroué will be participating remotely as they cannot enter the Palestinian Occupied Territories. Palestinian poet Asma'a Azaizeh, who has been trained by Mroué in Berlin, will give three of his non-academic lectures in their first presentation in Ramallah and Haifa. 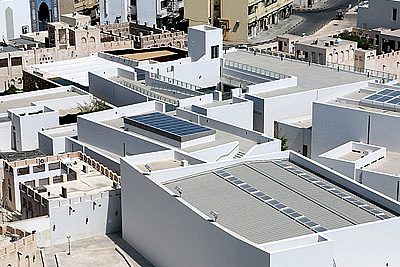 Shifting Ground is a collaboration between Sharjah Art Foundation, Khalil Sakakini Cultural Center, Ramallah Municipality and Khashabi Theatre, Haifa. Lara Khaldi is an independent curator based in Jerusalem, Palestine. She is a recent alumna of the De Appel Curatorial Programme, Amsterdam and the European Graduate School, Switzerland. Khaldi has curated exhibitions in Palestine and internationally at institutions such as Khalil Sakakini Cultural Center, Ramallah (2017); A. M. Qattan Foundation, Ramallah (2017); Qalandiya International 3, Ramallah (2016); Art Dubai Projects and residencies, Dubai (2015); De Appel Arts Centre and Stedelijk Museum, Amsterdam (2014); s:in/ Festival for Video Art and Performance III, Ramallah (2012); Pianofabriek, Brussels (2014); Jerusalem Show 5, Jerusalem (2012) and 5th Riwaq Biennial, presented in various cities in Palestine (2012). She has also co-organised seminars and conferences, such as the symposium Artist, Object, Institution, Downtown Contemporary Arts Festival, American University in Cairo (2016) and Benjamin in Palestine, International Academy of Art, Palestine and Birzeit University (2015). Khaldi currently teaches art history and theory at the International Academy of Art and has taught at Dar Al-Kalima University College of Arts and Culture, Bethlehem.